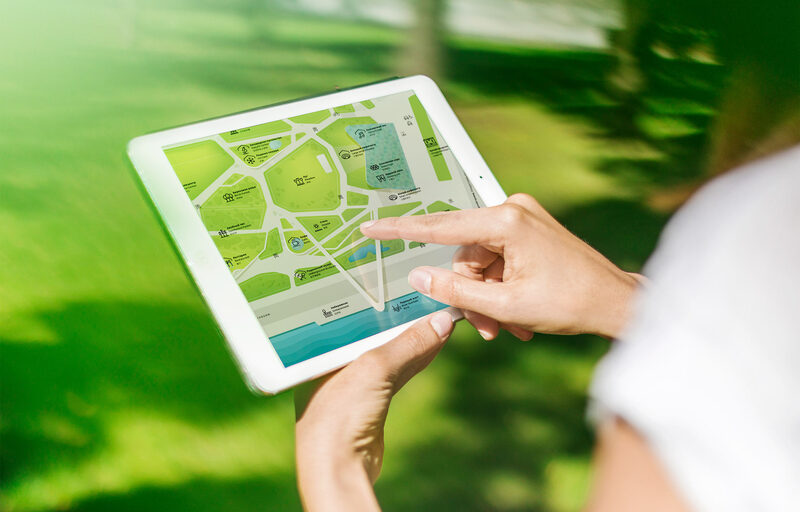 to develop a navigation system for a large city park. 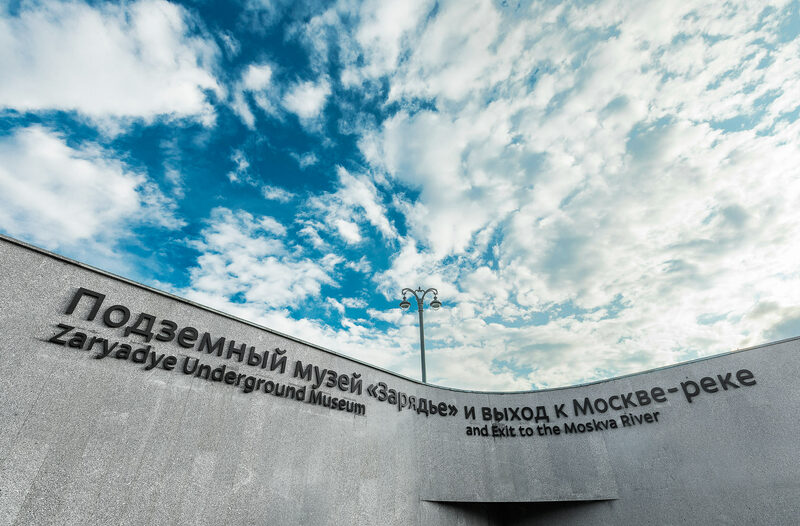 Zaryadye park introduces visitors from all over the world to Russia’s nature, history, culture and scientific achievements. 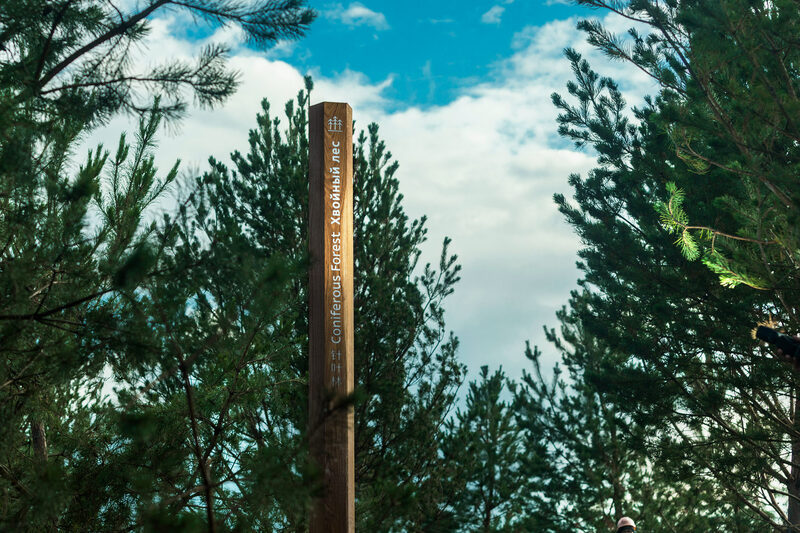 The park’s guests can explore flora of various natural zones, view architectural monuments and archaeological finds, visit concerts, scientific laboratories and VR-enhanced interactive pavilions. 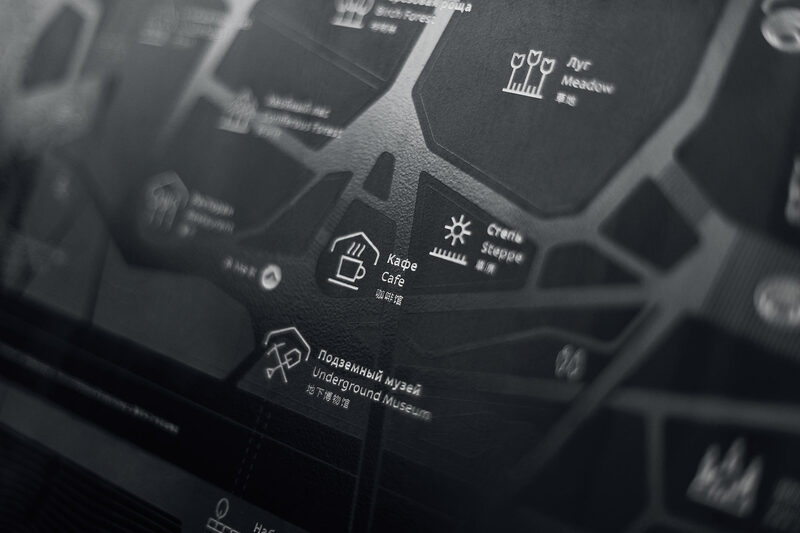 A navigation system that fits into the park environment and helps visitors find their way through the natural and cultural diversity of Zaryadye was created at the studio. 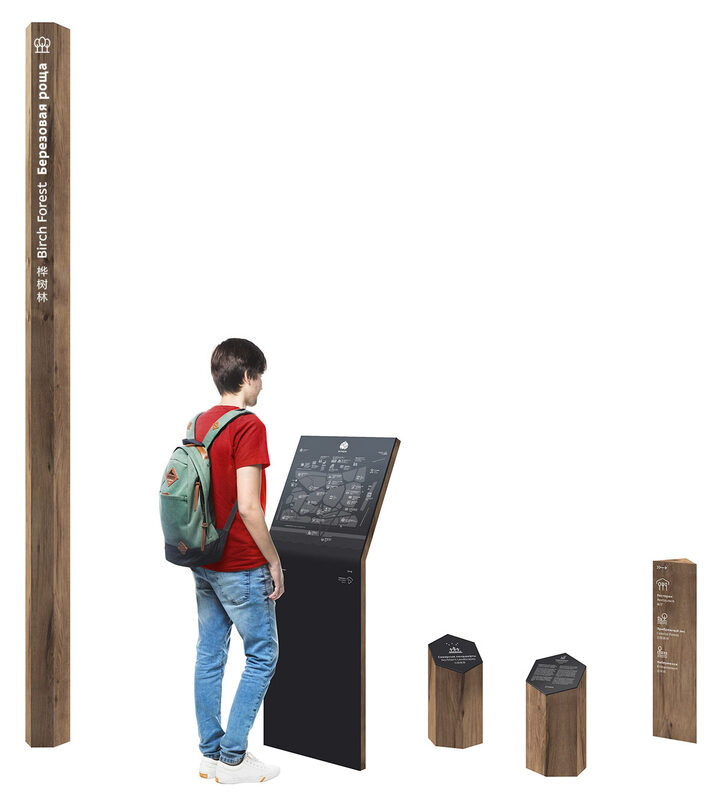 Laconic steles contain pavilion floor plans, information about ancient temples and general maps of the park. Small triangular columns point to nearest objects at intersections. Natural zones are marked with hexagonal columns that can be tall or short depending on the type of vegetation. A simple and clear park map provides the most important information and is easy to memorize. 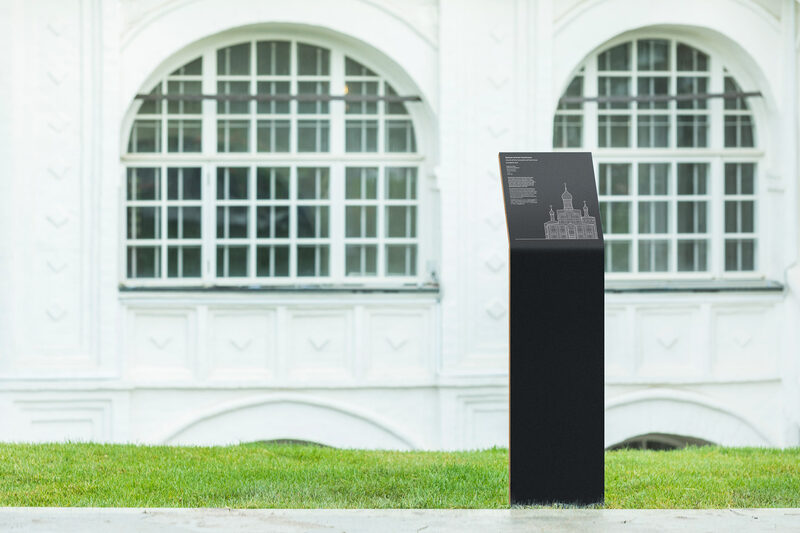 Graphic elements are laser engraved on metal plates which gives the map a pleasant volume. 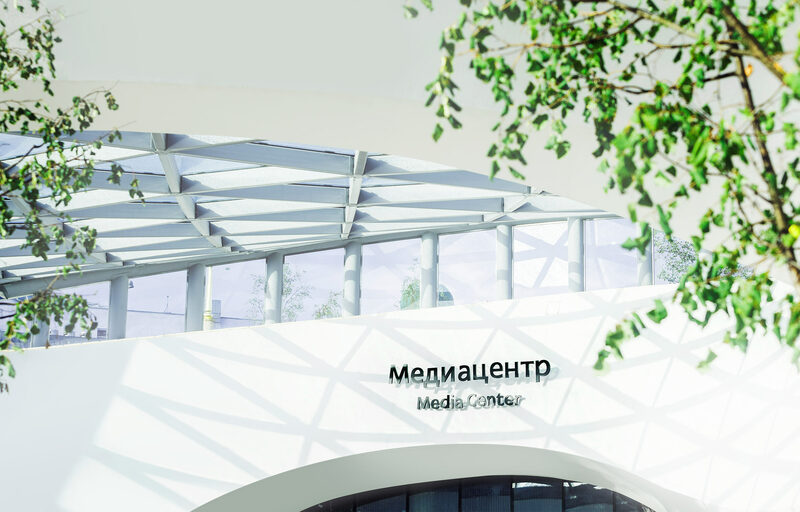 Для электронных устройств и бумажных носителей существует цветная версия схемы. Color version of the map is available for use on electronic devices and paper media. Informative icons were developed for the navigation system. There are separate icon sets for the green zone, the temple complex, the pavilions, building interiors and so on. Important objects have captions in three languages, Russian, English and Chinese. Secondary objects are only marked with icons. 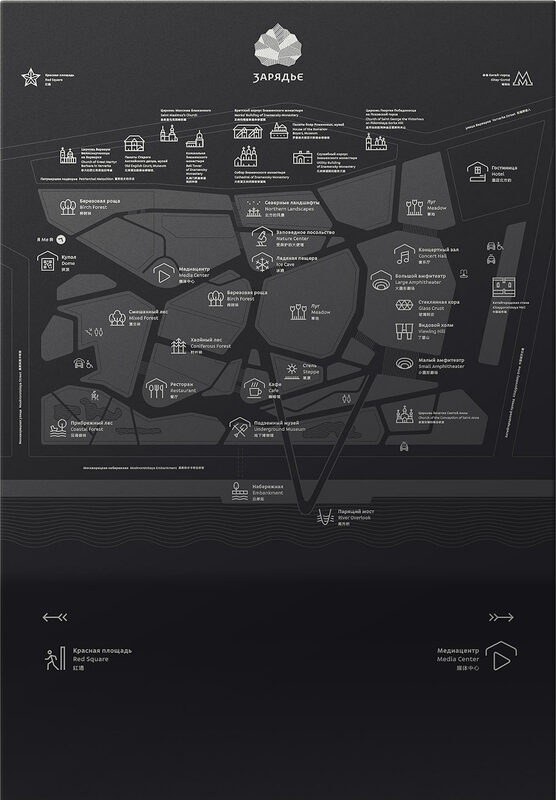 Realistic illustrations were created for Zaryadye’s architectural monuments and the area, representing the general view of each building and providing small historical references. Navigation elements are made of natural materials, solid oak and metal. 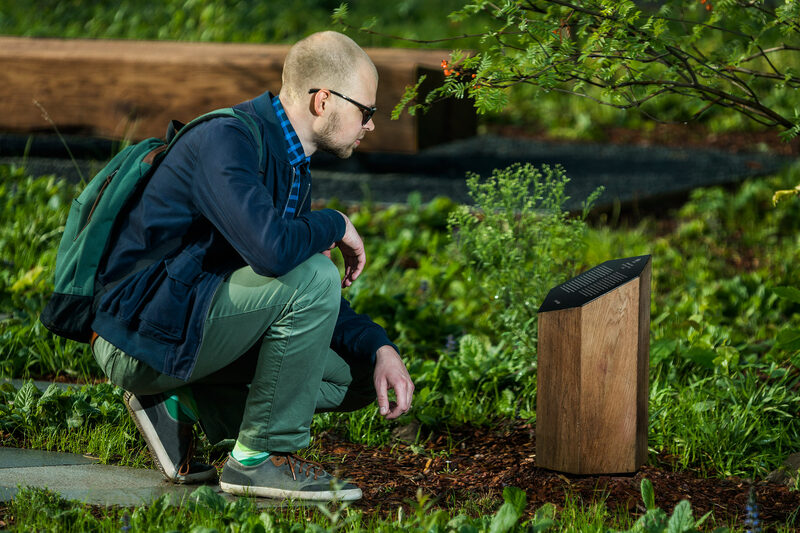 Beautiful and durable media rhymes well with park furniture. Delicate signs were developed for the pavilions and the underground passage to the waterfront. 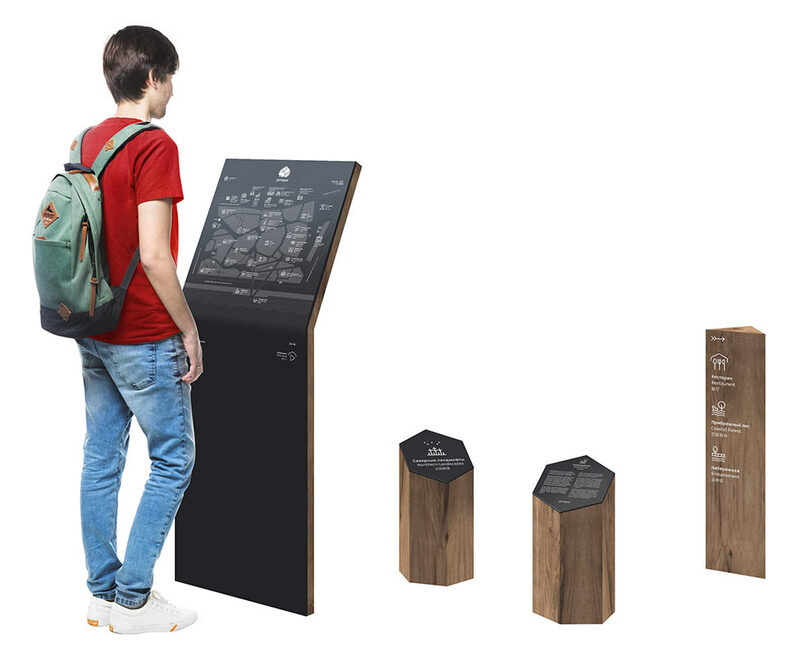 Every day, the navigation system will help 15,000 visitors to Zaryadye discover interesting objects in the 25 acre park.